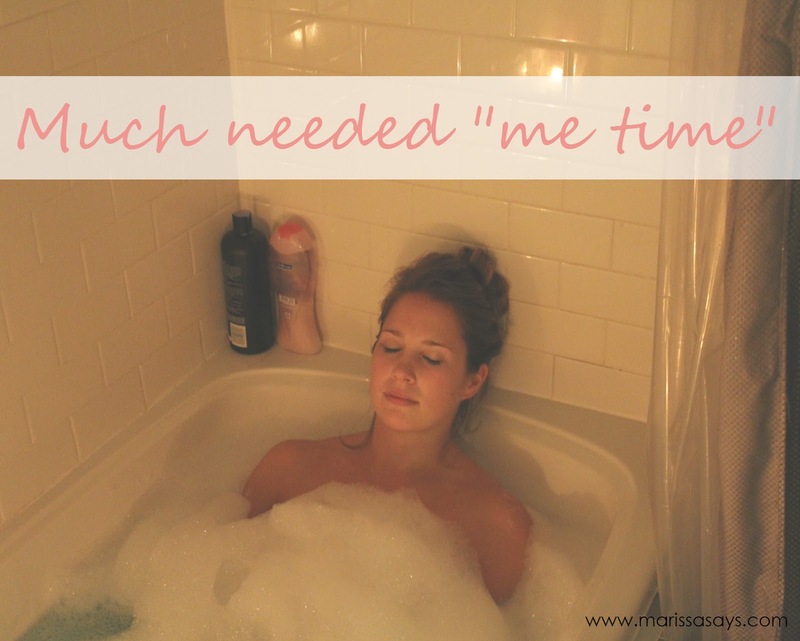 Marissa Says... | A Lifestyle Blog: Me time. And how to have a relaxing bath. Me time. And how to have a relaxing bath. Sometimes you just need a time out -- time away from the television, away from technology, to sit back and really relax. I'm pretty bad about doing that. I'm the person in front of the computer, with the television on in the background, with my phone on the coffee table next to me. I rarely give myself time to just unwind and stop thinking/doing. Last night I decided that I was in desperate need of some "me time." We moved into our new place almost a year ago and I've yet to use our beautiful tub. I'm not typically a "bath" person. They make me sweaty (which defeats the purpose of getting clean in a bath) but since there's a chill in the air at night now, I thought a bath would make me feel all warm and cozy before hopping into bed. The key to really relaxing and letting go, is to set the mood. That means flickering candle light, luxurious bath soap with a subtle scent and thick lathery bubbles, a good book or a magazine, a bathroom that feels like a spa, and super hot water. And yes, my tub has lights that change color. Ridiculous I know. You gotta have some reading materials handy. Although my phone was close by, I can verify that I did not touch it the entire time I was indulging in my "me time." We're fortunate to have moved into a place with a really relaxing and modern bathroom already. I love the subway tiles and pop of blues and grays. 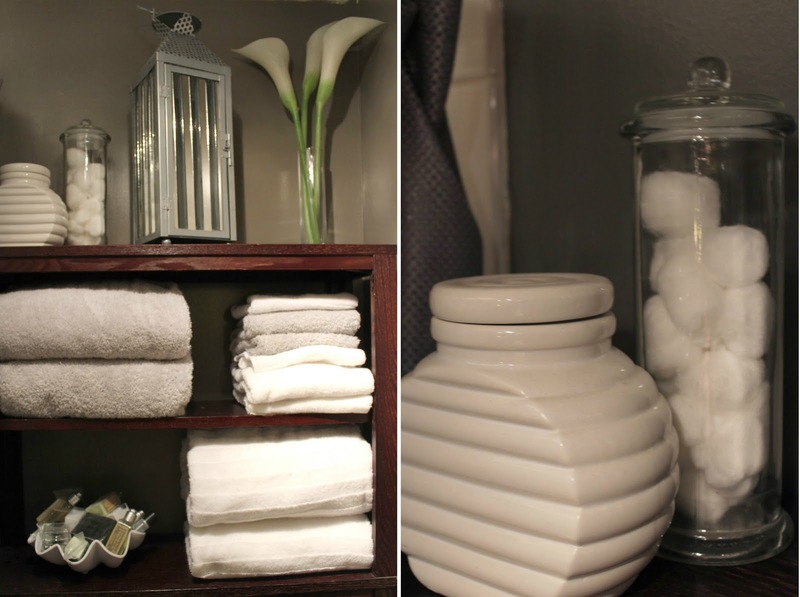 The walls were already painted a soothing gray but I made it feel like a fancy hotel by adding fluffy over-sized towels, and stolen travel soaps and shampoos. Oooh laa laa. How do you unwind and clear your mind after a stressful day at work? I'm a BIG fan of bubble baths! What kind of bubbles did you use? "Marissa says..." blog is one year old today!